It’s every business owner’s worst nightmare: You find a perfect web design agency to build an amazing website, then discover all your efforts to drive customers towards it with advertising are failing. If this has ever happened to you, fear not. Advertising is a highly competitive field, so a lackluster campaign doesn’t mean you need to start over from scratch. Instead, it’s likely you simply need to adjust your preferred advertising strategy. When it comes to beating your competition with web advertising, the primary goal is to figure out what works for your competitors, then turn those tricks around to work in your favor, instead. 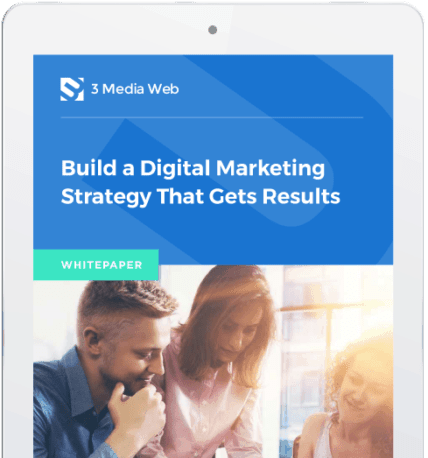 Here are a few of the most successful strategies you can use to outperform your advertising competition. Advertising is often an intense competition, but fortunately for your efforts, it’s an open one. That means you have plenty of ways to research your competitors and figure out what’s working for them—which, by extensions, means you’re also figuring out what works to capture your target audience’s attention. Start by using competitive analysis tools to assemble a report on your most prominent competitors, then use that information to adjust your existing advertising strategies. You should even start exploring opportunities for advertising within your competitor’s own campaigns. For example, buying Facebook Ads tied to competitor brands will expose customers to your own product while they’re viewing material about a competing product, giving you the opportunity to steal their business. Google’s Auction Insights is your secret weapon for evaluating the advertising landscape in your particular field. With Auction Insights, you can discover a huge range of details about your competitor’s past campaigns, including how they were constructed, what response they got from web users, and what they spent to receive those responses. You can even use programs and automated scripts to track a competitor’s activity over the long term, so you’ll never need to wonder why they’re succeeding and you’re not. If you’ve struggled to figure out who your audience really is, now’s the time. Without a clear, thorough, and expansive intelligence database about your audience, you’ll never be able to beat the competition to win their attention. You can use your competitive analysis results to help determine how your competitors are defining that audience, but it’s important to have your own insights, as well. Use an audience analysis to determine demographic information for your audience, along with their preferred digital platforms, methods of receiving advertising, and how they’ve responded to your competitor’s campaigns. Chances are you’ll come across plenty of clues about what you’ve been doing wrong, like serving up video ads to a demographic that prefers photo social media posts instead. Use that information to adjust your strategy and you’ll instantly boost the likely returns you’ll receive from advertising investments. Google’s Quality Score is a critical component of how well your digital ads are likely to perform, so improving it should be a top priority. Beyond helping your ads rank higher in the bidding marketplace, brands with a history of high-performing ad campaigns often find that they’re actually charged less for future ads, as part of Google’s efforts to improve the quality of content offered to its users. In most cases, your best methods for improving the quality score are to revamp your chosen keywords to ensure they’re better targeted at your chosen audience, and improve any landing pages or click-through targets so that they’re optimized to boost search performance and encourage user engagement. By now you’ve noticed that evaluating keywords is a suggested step for nearly every advertising strategy, and that’s because they make up the core foundation of your marketing. Good keywords can drive your audience to find your brand all on its own, with little investment on your part. On the other hand, bad keywords are a literal waste of money and could be actively harming your brand if they lead to search rank demotions or higher ad bidding costs. Performing a keyword audit is the best way to evaluate your current selection of words. You can then combine the intelligence you’ve gained from audience and competitor analyses to refine your keyword selection. A good advertising strategy is one that seamlessly marries technical, audience, and competitor factors to drive results and improve your advertising returns. By assembling a thorough portfolio of intelligence and data-driven insights into your competitors, you can figure out what’s working for them and adapt those techniques to your own needs. Performing similarly rigorous analyses on your customer demographics ensures you can target your ads appropriately, so you can start spending money wisely while capitalizing on the organic momentum that the best advertising campaigns rely on to succeed. Once you’ve learned who your audience is and how your competitors are gaining its attention, focus on improving your advertising itself with keyword audits and quality score reviews. Before long, you should begin seeing your advertising metrics improve, letting you fully capitalize on the investment you made in a fantastic business website!